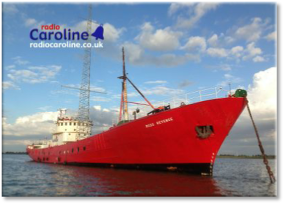 Welcome to the Radio Caroline Web Shop, run by volunteers to help keep the dream alive. This includes the running of the radio station and the preservation and restoration of its radio ship, the Ross Revenge, on the River Blackwater in Essex. Great reads on Radio Caroline and Free Radio from the 1960’s to the 1990’s, including from Radio Caroline presenters past and present. In the tiny village of Weeley, near Clacton on Sea, Essex, local bands were being booked to play and make a bit of money for charity. But the Weeley Festival soon spiralled out of control as top name bands attracted 150.000 revellers with the resultant chaos of fires on site, pitched battles with the Hells Angels and more. The tiny village was overwhelmed and then at the end came the expected question ' where did all the gate money go ? '. A factual account of farcical and adventurous times, with around 100 b/w photographs, by Radio Caroline presenter Ray Clark. Available in soft back with 37 photographs (black & white). Behind-the-scenes memories of an offshore radio engineer and presenter on the Voice of Peace, Laser and Caroline. The final 3 years of the m.v. Mi Amigo - as seen through the eyes of Caroline’s long-term active and stalwart supporter, Albert Hood. He first went out on an “anorak visit” back in 1975, then on August 13th (!) 1977 he started running his own trips, bringing anoraks - and who knows what else - to help keep it all going. The Port of Tilbury had been home to our ship the Ross Revenge for ten years, but the port authority eventually decided that it was time for her to either leave or be compulsorily scrapped. On the last day of July 2014 we sneaked her out on to the Thames and headed for a new location on the wide River Blackwater in Essex. This approximately one-hour DVD, with backing tracks of poignant songs, presents the background, the final preparations, the departure, the voyage and the final arrival at Bradwell, where she now sits at anchor. How the boats (and forts) really rocked - behind the scenes, and in the shadows. Known, secretive and suspected forces behind offshore and other radio stations of the 1960’s and 1970’s - including the enigmatic RNI - Radio North Sea International. Also with locations, frequencies and technical facts about the stations. Biography of Reg and Dorothy Calvert, written as a novel. Full of twists and turns, much humour, intrigue, murder and heartbreak. Reg Calvert's death in 1966 was the catalyst that was to change the face of British broadcasting. Intertwined in the extraordinary tapestry of their lives are the stories of musicians, singers, disc jockeys and radio engineers they employed. Part of a trilogy, this edition contains Book 2: Clifton Hall - School of Rock 'n' Roll and Book 3: Shivering Sands - 1960s Pirate Radio. NO NEED TO USE A FULL REGISTERED PAYPAL ACCOUNT TO BUY THROUGH OUR SHOP - UNLESS YOU WISH TO USE THE ADDED SECURITY - AS ALL MAIN CREDIT & DEBIT CARDS ARE VERY WELCOME TOO. All prices shown online are charged in Sterling and do not include post and packing (P & P). P & P charges added at our checkout are 20% of the cost of items purchased for delivery to addresses in the UK & Europe; 40% to the rest of the world. THE PAYPAL CHECKOUT LISTS THE ADDITIONAL P & P FOR OVERSEAS ORDERS INCORRECTLY AS “SALES TAX”. PLEASE BE AWARE that the goods we offer come from many suppliers. Some goods are in stock; others are made to order. Your items may arrive at DIFFERENT TIMES in separate packaging. We aim to get your goods to you as soon as possible, but please allow 21 days for the full completion of your order. Should you have reason to contact Customer Services, please quote your Order Number. Please add 20% to the shop prices for postage & packing for such orders. 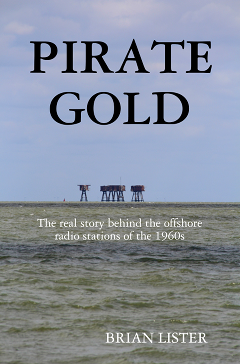 Profits from sales go to mooring fees, fuel, bills, restoring and preserving the Radio Ship Ross Revenge and helping maintain Radio Caroline`s broadcasts, all by volunteer work. Thank you for your continued support of this historic radio ship and Caroline`s continued broadcasts from land based studio and ship when possible. Offered at this price to UK addresses only. Anyone outside the UK wanting to purchase it should contact RCS Customer Services to agree a price. Show your support for your favourite radio station with a limited edition Radio Caroline wristband. Royal blue 3/4” silicone wristband with white embossed ‘Radio Caroline’ to front and the website address to the back. Adult size, unisex. £5 for a pack of two wristbands . 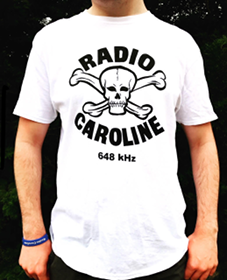 Iconic 1960’s-style Caroline Skull & Crossbones t-shirts, updated with our 648 kHz frequency. The ultimate “Love & Peace” creation by Ronan O’Rahilly (Caroline’s founder) in the form of the Loving Awareness album, performed by the Loving Awareness Band. Dreamily hypnotic and restful. Original copies of the album were found at Ronan’s old London residence, in double cover with a central photograph and posters. Here, the vinyl LP is the original, while the artwork items have been recreated, perfect to the originals. These collector’s items are now offered for sale. Supplies are finite and this batch is the only one we can create. When they are gone, they are gone forever. The story - in two separate photo-books - of each of the two Radio Carolines of the 1960’s. Caroline North, broadcasting from the MV Fredericia and Caroline South, from the MV Mi Amigo. These lush A4 Landscape size, photo books tell the story of the station through a fabulous selection of black & white and colour photographs printed on high quality gloss paper. 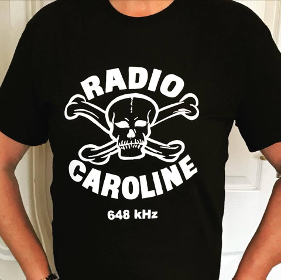 Many have never been seen before - together with items of original Radio Caroline memorabilia..
Iconic 1960’s-style Caroline Skull & Crossbones t-shirts, this updated with our website address. Self-cling stickers, to celebrate and promote our Caroline Flashback service. Price £5 for a pack of 5. The story of two brothers, Steve and Paul Jenner, who went from Pirate Radio broadcasting to RSLs. Then, - with only the slimmest of chances of success - jumped into the “deep end” - applying for, building and running a full commercial radio station. How hard can that be ? Commemoration: 50th Anniversary of the Marine Offences Act, as held in Clacton, August 2017. ● Peter Moore - the future of Radio Caroline. The Fortunes and Rich Clifford & The Young Once.